Sometimes at breweries, something goes wrong. Everyone who drinks craft beer has experienced this, even unwittingly. That special one-off on tap that was never repeated? Could be a botched batch that was still reasonably sellable. Sometimes those mistakes become amazing beers you hope get made again and again. 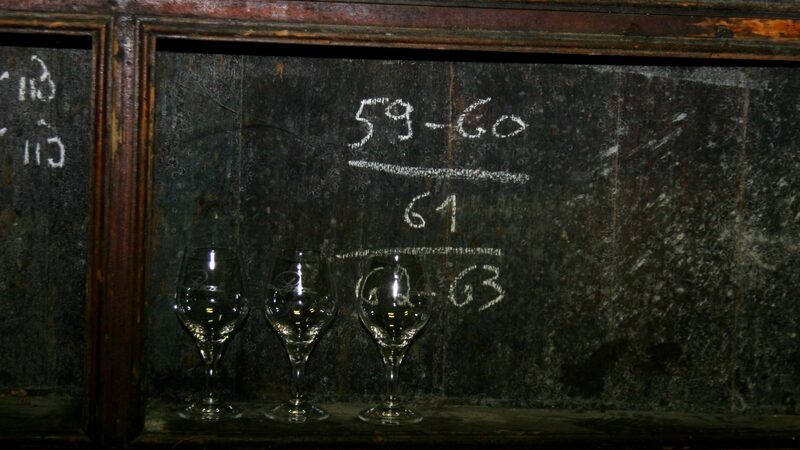 Gueuzerie Tilquin‘s Oude (Gueuze Tilquin)² A l’ancienne, Tilquin Gueuze “Squared” for short, is one of those mistakes. Tilquin Oude Gueuze² started out as a regular batch of Oude Gueuze and should have been released as the 2011/2012 Oude Gueuze. Unfortunately, after its period of bottle conditioning, this batch was way over-carbonated. Instead of releasing a flawed product, Pierre Tilquin went back to the drawing board. He called in some favors from his friends and by hand, they uncorked every single bottle of the bad batch and returned the beer to the barrels. When I visited Pierre at his blending operation, one of the aforementioned friends was there and was still complaining about the arm and hand cramps he got twisting out hundreds of corks, although he seemed eager to do it again if the beer would be as good as the Gueuze Squared. This beer, like the rest of Tilquin’s beers, are made with a blend of various worts brewed and inoculated (via spontaneous fermentation) at a Lambic Brewery. Pierre then puts the wort into his barrels and then blends the final product. His blends are pretty much all the same break down: 40% Lindeman’s, 30% Boon, 20% Girardin, & 10% Cantillon. Pierre is the only blender using beer from Cantillon in his mix. UPDATE: I had a few innaccuracies in the first release that Mr. Tilquin was kind enough to point out! And when you get information straight from the source, you correct it. This also took the alcohol in the bottle from the intended 6.4% of the standard Oude Gueuze to a hefty 7.6% All of this meant the bottles needed to be opened and dumped to get rid of the excess carbonation. The beer was then left in the barrel for a while to further settle and clarify. Appearance: Hazy gold/copper, beige head, solid retention. Aroma: Honey, tangerine, citrus peel, delicate funk, melon, cantaloupe, apples, spice. Taste: melon, blood orange, hints of lemon. Overall Impression: The regular Gueuze Tilquin is a fabulous example of the style and the blenders art. This beer takes that beer to the next level. The extra time created a beer that’s softer and more subtle with a broad and friendly complexity. While the Gueuze Tilquin is bright and often brash, the Gueuze Squared is suave and sophisticated. If you thought the Gueuze Tilquin was the cool kid, Gueuze Squared is his way cooler older brother. Needless to say, I thoroughly enjoyed this beer. It’s a must have for anyone who’s a fan of Gueuzes. Availability: Highly Limited. Get it while you can. Check with retailers that have carried the other Tilquin beers, imported by 12% Imports. It’s to bad that sometimes mistakes are the best beer and are very hard to recreate. This does sound amazing though. Almost as amazing the the friend of the blender himself.